A New Kitchen is Possible! Quality Showroom Finishes that Last! You don’t have to do the painting yourself. It is a cost-effective option to make your home look its best. Positive Return on Investment (ROI) – something that is important when trying to sell a property. Professional Daytona Beach painters will provide valuable advice on colors and will use the best paints and painting supplies for the job. 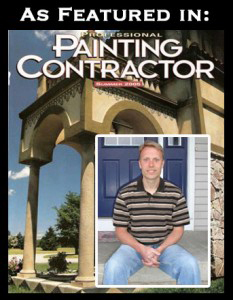 Residential painting contractors will get the job done much quicker. No hassle, no mess, just outstanding results. You can expect all of these benefits and more when you hire Kwekel Painting for the job. We are a reputed house painting contractor in palm coast that have been providing high quality, professional and reliable painting services in Daytona Beach, Port Orange, Deland, Ormond Beach, and other areas of Central Florida for over 29 years. Whether you need interior painting or exterior painting services, we will provide the highest quality work at reasonable prices, with no fuss, no mess and as little interruption as possible. What is the fair price for painting your home? You will receive an estimate that leaves you confident and knowledgeable about the correct cost of your professional residential interior and exterior paint job. Save getting hassled by painters estimating so low that they cut corners and perform poor workmanship. Conversely, it is good to know if a painting contractor is bidding too high and charging way to much. At Kwekel Painting our top quality and reasonable prices go hand in hand. Kwekel services Central Florida including Daytona Beach, New Smyrna Beach, Ormond Beach, Palm Coast, Port Orange.